It’s so relaxing to curl up with a cup of tea (or glass of wine!) and tune into one of our favorite shows on HGTV. The only problem, though, is that while we binge-watch these popular house-hunting shows, we can start to believe that what we see is representative of our local real estate market. 1. Depending on the market, home values and the condition of the homes can be far different. In Greater Philadelphia, there is a major tradeoff between affordability and professionally staged “Pottery Barn-esque” homes. It’s not uncommon for EveryHome agents to work with buyers who would love to have a beautiful, move-in ready home but unfortunately, don’t have the budget for it. Agents work hard to set realistic expectations and assist buyers with seeing the vision of what a home can become with a fresh coat of paint and a little TLC, but it can still be a shock to some folks (especially since we live in a region that is far pricier than many of the communities on TV!). 2. It can be more complicated than HGTV shows portray. In fact, producers have even admitted that (for some episodes) the “home shoppers” are actually already under contract with one of the homes! In real life, there are a variety of factors that makes the process a little more difficult, including home inspections, appraisals, and bidding wars. 3. 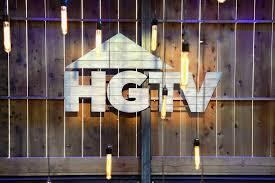 On HGTV, the home values can be a little too ambitious after a renovation. The home-flipping and renovation shows are some of our favorites because they’re so creative and inspire us to update our own homes! However, some episodes have been a little dramatic in regards to the effect that the renovations have on the home’s price/value. For example, if someone buys a home for $150,000 and puts in $50,000 of work, many shows have suggested that the home’s new value could be $250,000-300,000. In real life, however, it’s not often that lucky — and many home flippers will “flop” more than a few times!